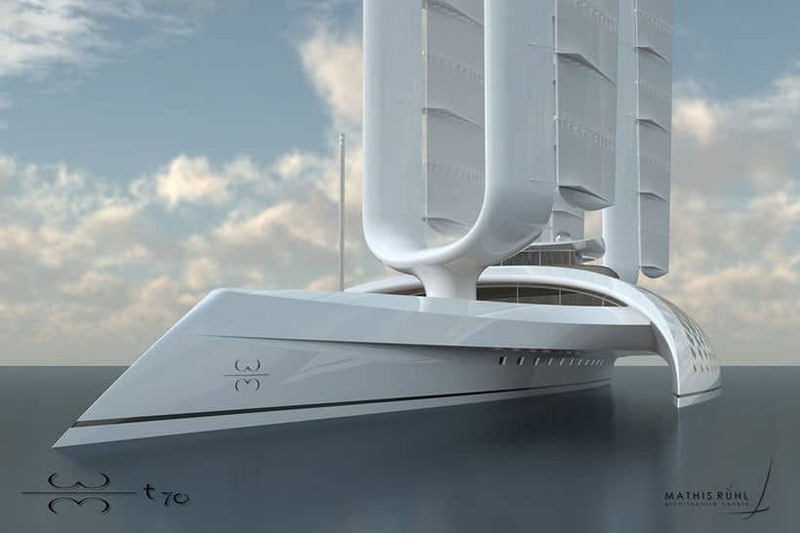 We’ve featured numerous extraordinary superyacht concept on Luxatic, but nothing like this one. 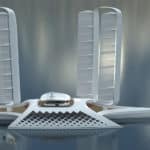 Measuring 70-meters, Wind Motion is a unique trimaran concept imagined by French yacht designer Mathis Ruhl, a self efficient vessel that takes advance of the wind’s power in the best way possible. 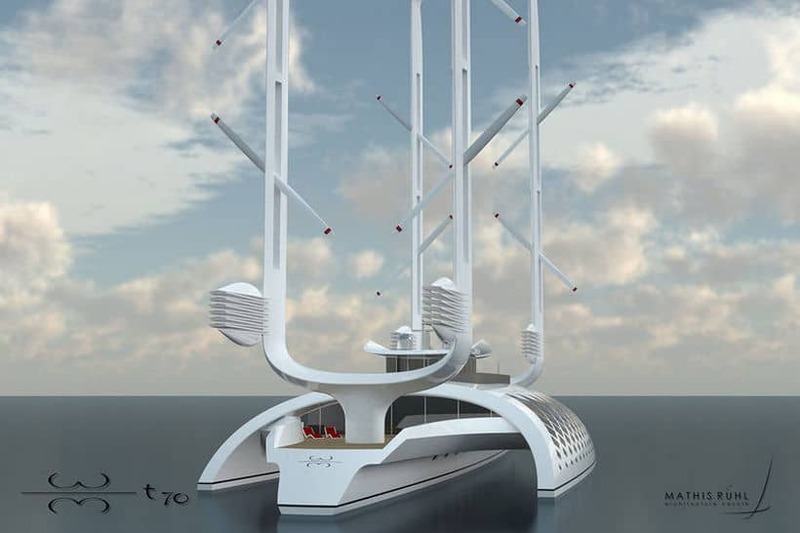 Mathis Ruhl encourages yacht designers to try to improve the efficiency of a sailing ship with today’s technology, searching for the optimal shapes for the hull and the rig of this 70-meter autonomous concept. 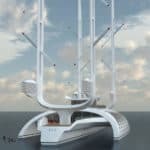 Wind Motion has a heavy focus on capturing and transforming wind energy into a highly efficient propulsive force thanks to its innovative rigging development. 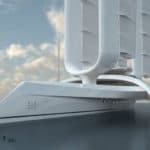 Named the RTW ², this radical concept is basically an evolution of the designer’s MRTW concept, that was a rig or wind propulsor that could fit larger vessels. The upgrade takes the concept way further and adds an articulated two elements thick wing design. 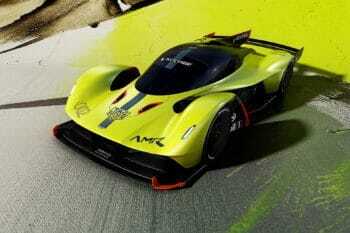 The result is higher aerodynamic efficiency, a lighter structure, and even less deck space required. 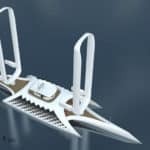 Nothing but good news for everyone who loves sailing. The breathtaking exterior aesthetics can’t be ignored either, and we can imagine that the cabin’s interiors will most likely match this outrageous exterior design. 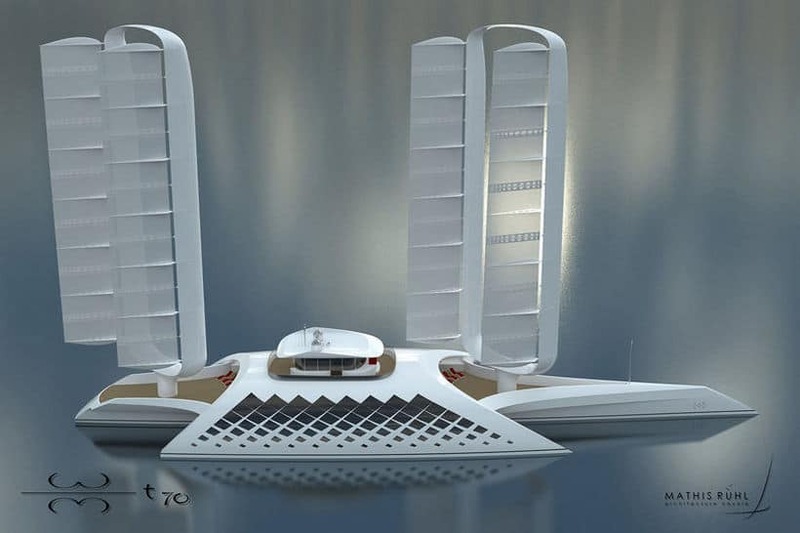 Let’s just hope that some billionaire out there will fall in love with these renderings and decide to bring this vessel to life.